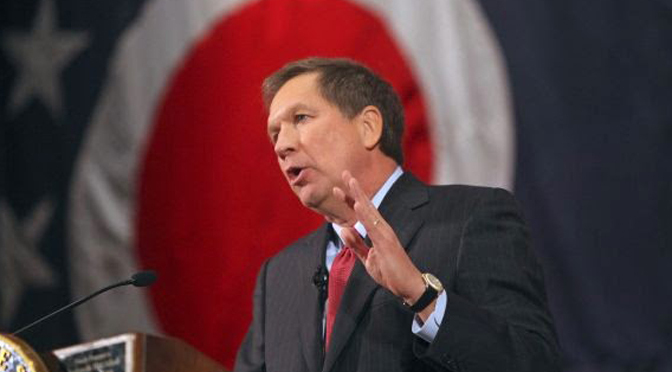 On Monday, Ohio Governor and Republican presidential candidate, John Kasich, promised a crowd in Concord, New Hampshire, that Planned Parenthood funding was “not going to happen” in his state, or under a Kasich administration. He went on to reassure voters that women’s health programs would still receive funding if Planned Parenthood were defunded, pointing to his support for a $40 million increase in women’s health funding in Ohio’s last state budget. John Kasich has been a generally pro-life governor whose tenure has seen Ohio’s abortion rate drop to an all-time low and a number of abortion clinic closures. Kasich has signed a number of pro-life laws, and held a 100 percent voting record with the National Right to Life Committee during his prior tenure in the U.S. House of Representatives. However, he has also drawn the ire of some pro-lifers on the campaign trail by stating “we focus too much on” abortion, declining to confirm whether he would seek to overturn Roe v. Wade, and vocally opposing the government shutdown strategy of defunding Planned Parenthood.